Gone are those days when only well established companies and business needed a website for marketing their products. Now the world is changed with time. 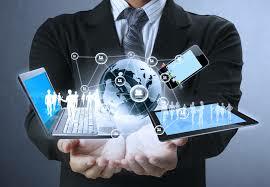 Today is the era of internet and websites, everything going to be hi-tech. From communication to marketing to sharing views and a hobby, everything you can get from a single website of yours. Websites are perhaps the most overlooked vehicle of advertising for local, owner-operated businesses. Yes, every retailer needs one. Every dentist, lawyer, accountant and minister needs one. Every cafe, restaurant, coffee shop and nightclub needs one. Every wholesale supply company needs one. Compared to the more traditional advertising mediums, the Internet has potential circulation figures and coverage area that can’t be matched to any other medium. Everyone listed in yesterday’s Yellow Pages needs to also be available on the internet today–it’s where your customers expect to find you. Every business has good reasons to have a well navigated, well structured and an appealing website. Though there’s very little that can’t be sold over the internet. More than 20 million shoppers are now online, purchasing everything from books to computers to cars to real estate to jet airplanes to natural gas to you names it. Even if one’s business is small and nothing much to do with online customers, still the presence of a website is appreciated and advised. This will create your presence on the web so that customers, potential employees, business partners and perhaps even investors can quickly and easily find out more about your business and the products or services you have to offer. With a well-designed site, your little operation can project the image and professionalism of a much larger company. The inverse is also true. Either you’re a one-man show or a 10,000-employee corporate giant; if you don’t have a website, you’re losing business to other companies that do. Every retailer and every manufacturer in every industry needs to have a Web site! One more popular form of website is blog. It is like an online journal. The blog owner regularly post journal entries that readers can react to in a comment section. This is in contrast to a newsletter or static website that conveys one sided information. Bloggers here can write everything from personal to professional experiences and articles. Earlier people used to write their experiences and views in their diaries. But today’s generation is open to share their views on every aspect of their life style with the world through blogs. This makes them popular in the internet world easily and gives them a chance to learn from others reaction on their views. It helps to develop a thought on issues of life and to create a practical attitude towards various aspects of life. Blogging have given millions of people access to a powerful new medium—not only for publishing, but for activism, dialogue, and collaboration, opening up tremendous potential for social and political change. Speakers include leading practitioners who have helped organizations and individuals shape online strategies to engage members, move public opinion and effect change large and small. More than 75,000 new blogs are being created everyday according to surveys. Blogging forces people to rethink activism, organizing and change. Website is a tool which makes you not only active and smart in this hi-tech world but also trendy and intelligent too. So why wouldn’t you have a website. Go for it now. It’s never late for a right work to set on!